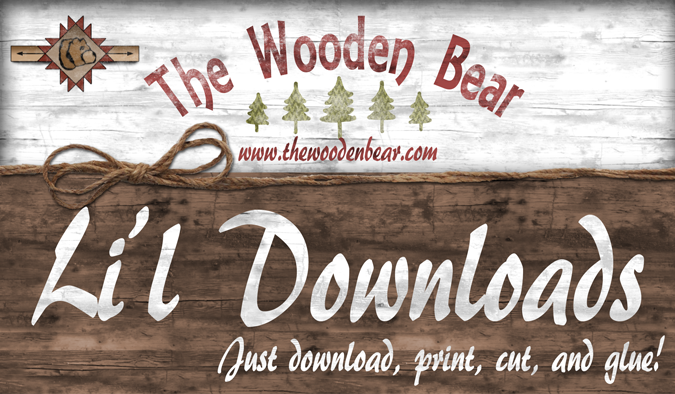 These are simple downloads for a small price, for you to immediately download and use. So, this is the first offering or our Li'l Downloads, and we are giving it away for free for anyone to try! NOTE: These are not to be offered on any other site. Please feel free to make mention of this printable on your blog, website, Pinterest, Facebook, etc., along with the picture, but link back to this page for others to download. Thank you! Click here for the free PDF file! Directions: Just click on the link to open the pdf file, then you can save it to use at any time, or simply print and use! We would love your feedback on the poll below. Thanks, and enjoy! Cutting Machine Users: Although these are not SVG files, I have tried to make the graphics themselves cutting machine-friendly. So, a light border has been placed around some of the lighter graphics so when you use the "trace" function in your program, the program will recognize the outer edges. I also tried to make them fit a standard 8 1/2" x 11" page, leaving room around the edges for the registration marks. Be sure to open them at 300 dpi! 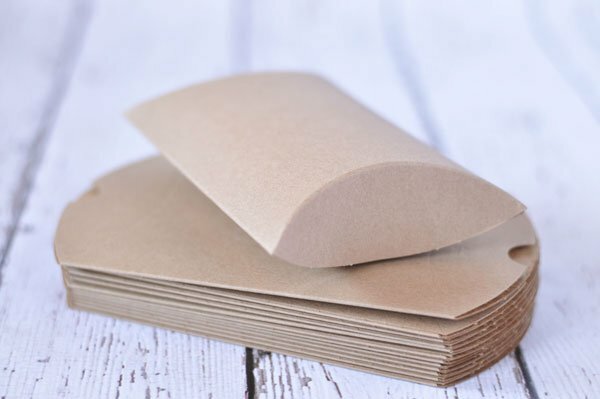 Need the Packaging Material Shown Above? Here's a link to the pillow boxes and flat merchandise bags used above. Be sure to check out the other bags and boxes. Use the downloads to do all sorts of creative things! Click here for The Bear's Packaging, Wrapping and Crafting section. 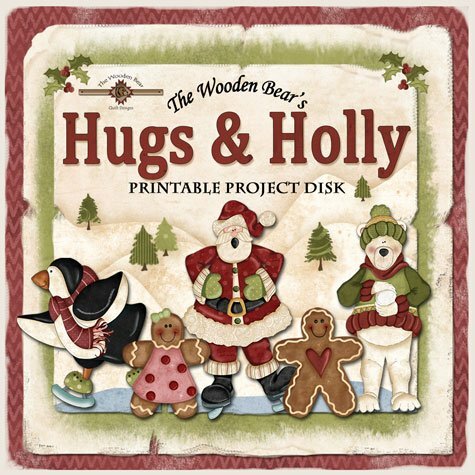 The Santa featured in our free download is a character used on our Hugs & Holly Printables Disk! So if you like him, you might like all of the other characters on the disk! 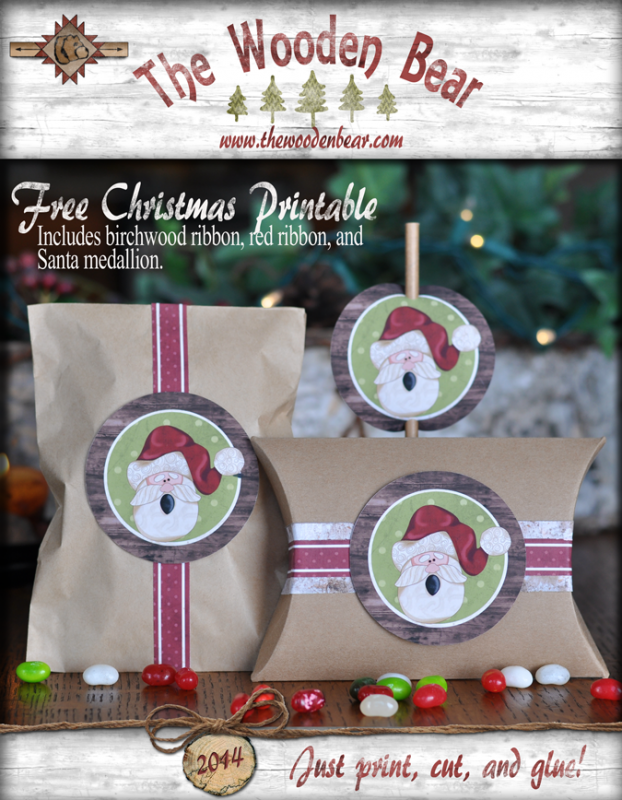 Just $10 for a ton of printables! Click here to check it out!